There are certain things over the years that will forever defy explanation when one tries to grasp their immense popularity. In America, we have Barney the Dinosaur (which no one can explain to this day) while the UK has Mr. Blobby. Mr Blobby was the brainchild of writer Charlie Adams who passed away in 2013. He first appeared on Noel’s House Party, a 1990s variety program broadcast on Saturday evenings on BBC1 and hosted by Noel Edmonds. Airing on BBC1 for much of the 90s, Noel’s House Party included a Candid Camera-style hidden camera segment called the “Gotcha Oscars”, later renamed The Gotchas after a threat of legal action by the Academy of Motion Picture Arts and Sciences, whereby Edmonds would spend a day gleefully attempting to psychologically destroy one of his peers in what can only be described as a demented power move. 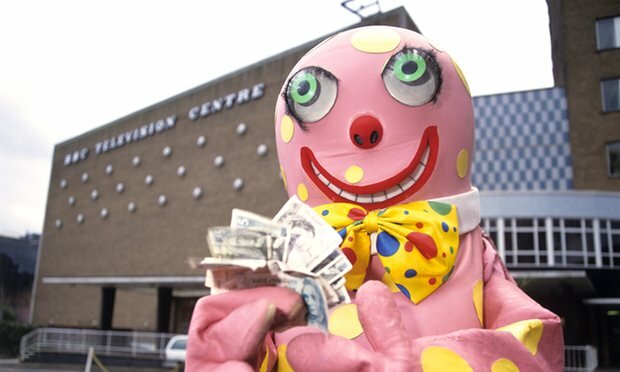 Portrayed by Barry Killerby, Mr Blobby became a semi-regular in the Gotcha Oscars, as the hapless star of a disastrous fictional children’s TV show where celebrities would demonstrate their trade. Mr. Blobby wasn’t just a Saturday night telly fixture. Blobby’s 1993 Christmas single “Mr Blobby” is widely regarded as one of the worst songs ever recorded. His 1995 festive release “Christmas in Blobbyland” was voted the worst festive song ever by British Christmas shoppers in a 2011 poll, and was named in the Metro as the second-worst Christmas song of all time in 2013. To understand the sheer magnitude of Mr. Blobby’s popularity, one has to go no further than to see him in this video at the Bucket residence when Keeping Up Appearances was at the height of popularity. 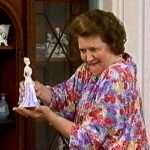 While most will never be able to explain the endless popularity of Mr. Blobby, you have to admit, the look on Hyacinth’s face is priceless when Mr. Blobby enters the room. If anyone would care to explain the cultural phenomenon that is Mr. Blobby, I’d love to hear from you. 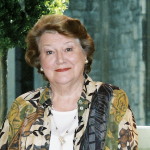 Is the world ready for a 19-year-old Hyacinth Bucket? 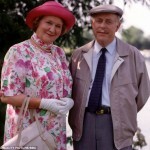 So that’s how Hyacinth could afford a slim line telephone with automatic redial…. 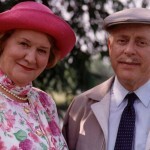 ‘Keeping Up Appearances’ considered THE most successful BBC program – EVER!